Guy Verhofstadt, a Belgian Member of the European Parliament (MEP) who served as the country's Prime Minister between 1999 and 2008, has expressed frustration over EU leaders' permanent promises to reform the bloc and create a European army, something which he said has failed to materialise. "Social policies, tax policies, migration policies, European army. And we never tackle the question of why it hasn't happened today? What is the obstacle? Why are we always acting too little, too late compared, for example, to our American friends […]", he said during his address to the European Parliament on Wednesday. Wondering why the bloc does not have a European army, Verhofstadt suggested that "the problem is that we have bad institutions at the moment in the European Union" which he claimed "create bad results". "The problem is — and I want to repeat it again and again and again and I will continue to do that together with a number of you – it's the unanimity rule that exists in our union and especially in the European Council. It's the main problem that has to be solved," Verhofstadt argued. 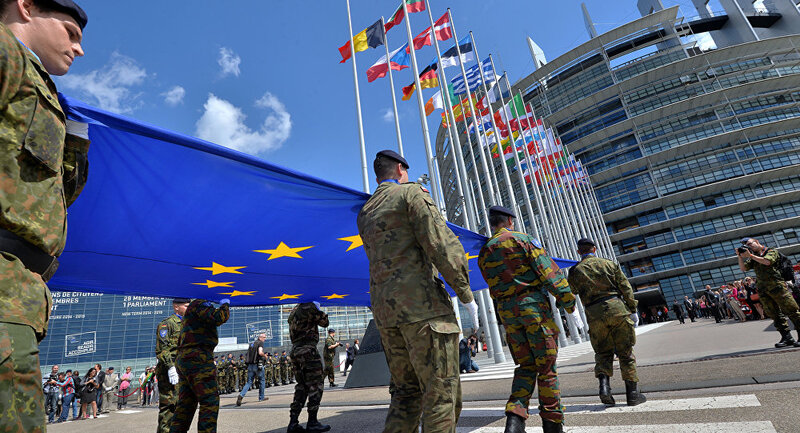 He spoke after German Defence Minister Ursula von der Leyen claimed last week that a European army is "already taking shape"; she added that "reforms over the past months and years have brought our armed forces closer together". Her remarks followed French President Emmanuel Macron calling for the creation of what he described as a "true European army", which he said should be aimed at protecting the interests of the bloc from China, Russia and the US. The proposal was supported by German Chancellor Angela Merkel but rejected by British Defence Secretary Gavin Williamson, who claimed that any force which rivalled NATO would undermine international security. US President Donald Trump, for his part, slammed Macron's proposal as "very insulting", noting via his Twitter account in November that "perhaps Europe should first pay its fair share of NATO, which the US subsidises greatly". Trump has repeatedly urged all NATO members to spend a minimum of two per cent of their GDP on defence, as the military bloc advises.